You’re ready for fall but is your house prepared? 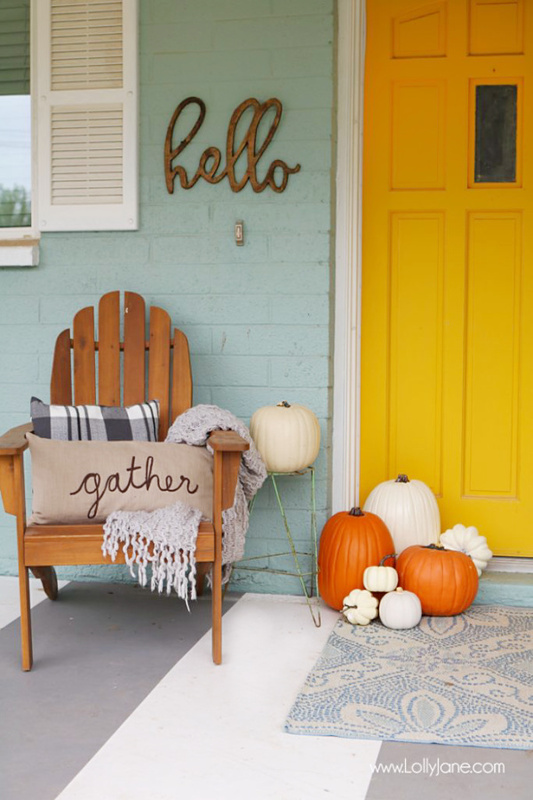 utilize These 30 practical tips to get your home ready for fall, both inside and out, so you can truly enjoy the most wonderful time of year. We are welcoming fall with full arms this season as our triple temps here in Phoenix have been record-breaking. It’s not quite September but our kids have been in school for a month already which means we’ve been tackling cleaning projects that have been neglected and we’ve already added fall scents to our warmer. If you’re wondering “how do I prepare my house for fall?”, we’ve got you covered with some great ideas. Don’t just take our word for it, we’ve partnered with Homes.com and some fellow bloggers to share their favorite ways to get fall ready, as well. 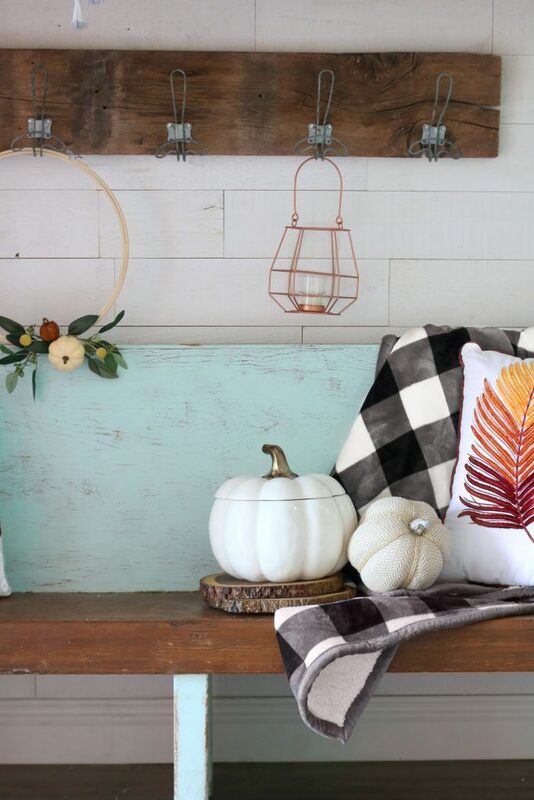 Getting your home fall ready is more than lighting pumpkin spice candles and busting out pretty decor like you can find in our fall home tour. As much as we have fun swapping out pink and aqua throws for muted, mustard tones, there are some crucial tips to get the inside of your home fall ready! Here in Arizona, we love fall! It finally cools down and we get to enjoy the outdoors like the rest of the country gets to enjoy it in the summer. Although we don’t have to winterize our homes as much as the colder states, there are still some must-prep exterior ideas to get your exterior home ready for fall. We don’t dip below 30 often but we do have the occasional freeze so we keep extra sheets around to throw on the trees plus we always re-stock water and snacks bags in the back of the car, just in case it gets too messy driving and we need to pull over. 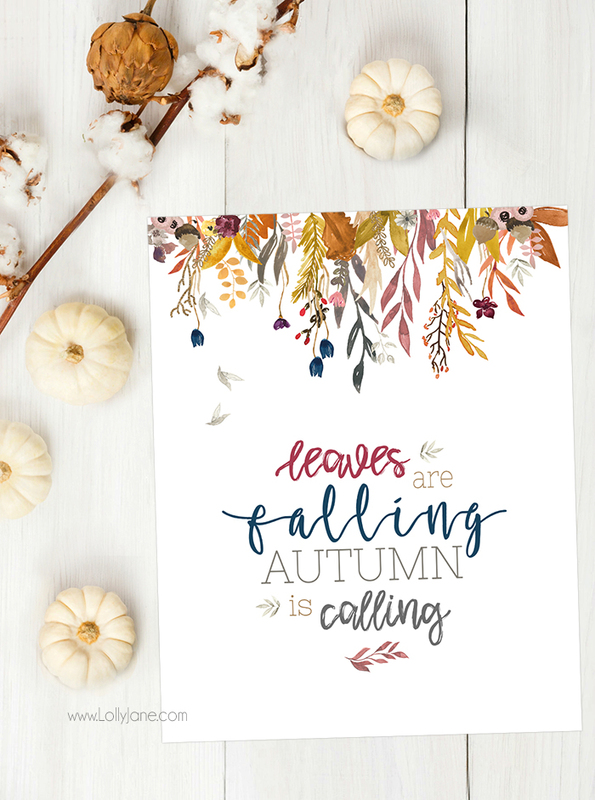 We love this free autumn is calling printable for the inside of our home but can’t wait to get the exterior prepped, too! We don’t have to clean our gutters because AZ homes don’t typically have them but we love tip #6 below from Homes.com, sharpening our mower blades. Fun fact: my 13 year old son has a lawn mowing business with 7 clients around the neighborhood! There are lots of ways to prep your yard for fall like raking the leaves regularly so you don’t suffocate your lawn. We actually plant winter grass so our lawn is nice and green and lush all winter long which means our kids are on constant rake duty. 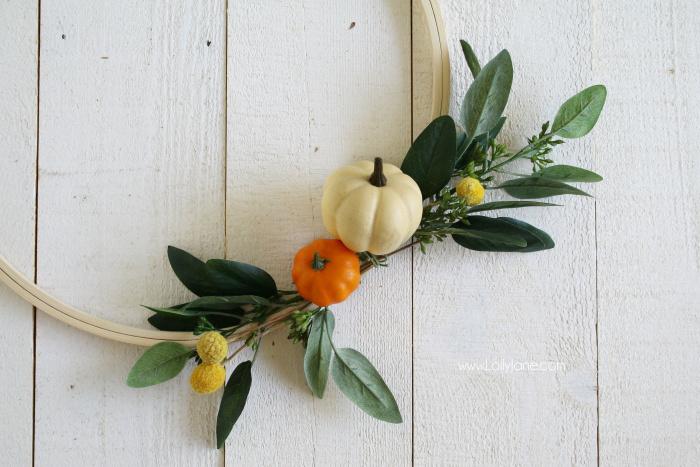 We love to have fun with fall decor outdoors by making quick changes. For example, highlighting our front door by painting it. 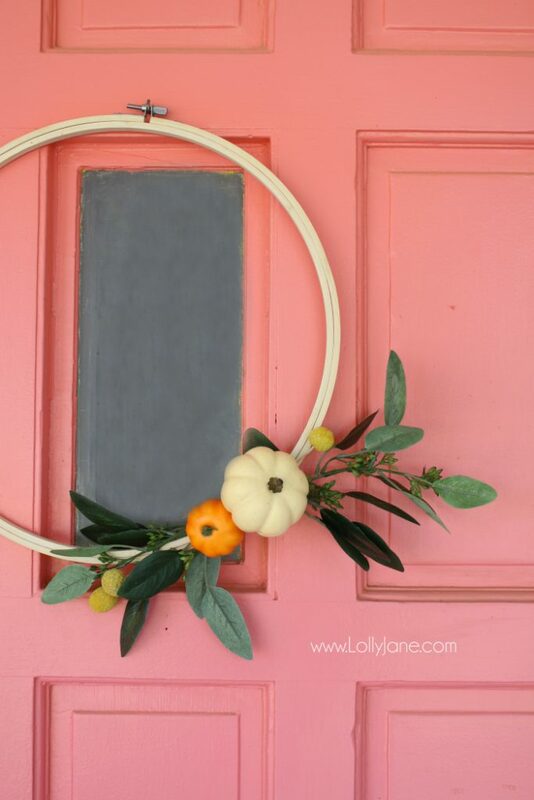 You know we love a fun colored door like our coral door, especially paired with our DIY pumpkin embroidery hoop wreath. This year, we’re all about keeping decorations easy. We are loved these top 10 yard and curb appeal tips for fall from Homes.com. Adding warm colored flowers like mums to olive buckets is a simple way to add curb appeal. Check out 9 different ways to decorate with olive buckets for fall like adding them to your front porch fall decor. 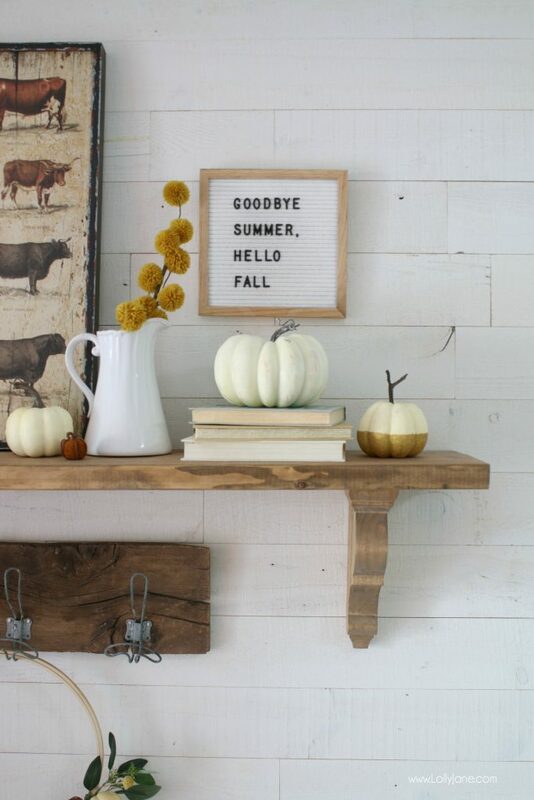 The Handmade Home who is sharing 10 more ways to get your home fall ready. 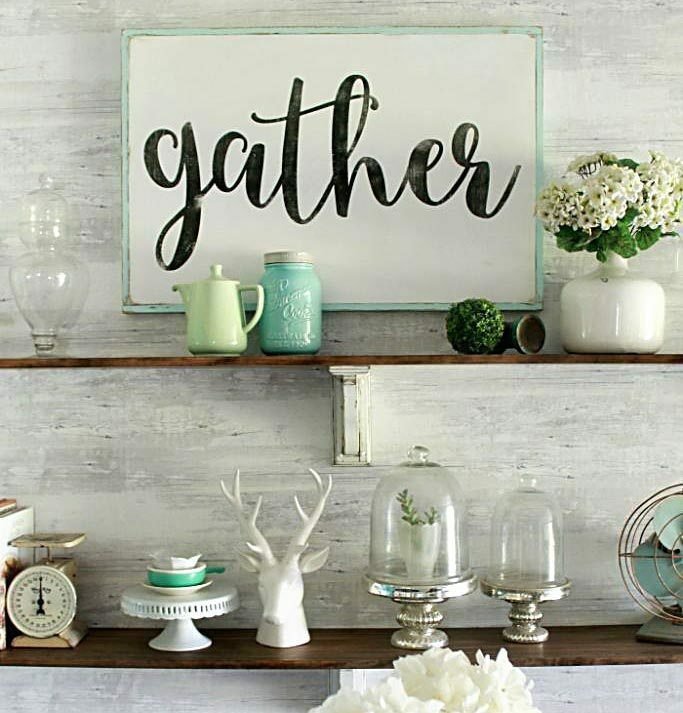 Thistlewood shares a funny story plus 10 must-have tips to get organized this fall season. Be sure to visit Homes.com, your leading place to buy and sell your house, for all these amazing tips to really get your home prepared for a wonderful season of getting cozy with family and reflections on your blessings.